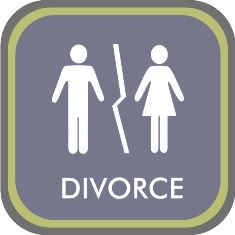 When couples get a divorce there are in essence two groups of people that are closely affected. On the one hand there is the parties themselves and on the other hand their children (if there are children). Different pieces of legislation are applicable to different aspects. In dealing with Children, the most important legislation would be the Constitution providing for specific rights of Children as well as the Children’s Act, No 38 of 2005. Child law deals specifically with the rights of children and often times it will become relevant during divorce proceedings as well. Even though the new Children’s Act and the Child Justice Act deals comprehensively with legal rules pertaining to children a multi-disciplinary approach should be followed. Children form an important interest group in society. They are after all our future! VERSTER-ROOS INCORPORATED ATTORNEYS & CONVEYANCERS has extensive experience in not just divorce law, but also specializes in Child law. We are sensitive to our clients needs and follow a holistic approach. Do not hesitate to contact us for assistance.